Adjustable bed frames are all about comfort and ease of use, which is why a remote control feature is the most essential characteristic of these frames, greatly improving the experience of sleeping on an adjustable bed. One minute you could be sitting up and reading your book, then press one button, and you go to the horizontal position, off to sleep. Remotes can be wired or wireless. Whereas wireless can be freely moved and passed around, it may be easier to have a wired remote. That way you always know where it is and don’t have to worry about misplacing it. Depending on the model and the price range, adjustable bed frames can mold themselves into a number of positions, many of which come preprogrammed. Some even have the capability of memorizing the positions you created, and that suit your body best. Some of the most popular preprogrammed bed frame positions are zero gravity, reading, entertainment, and the anti-snore position. The zero gravity positions is one of the most frequent sleeping positions you can achieve with adjustable bed frames. It consists of lying on your back, your legs raised above stomach, with the head and the upper back elevated. People usually choose this position because of the many health benefits. The reading and entertainment positions are not designed for sleeping, but rather for the favorite pre-bedtime activities of many. These positions are quite similar, as the upper part of your body is elevated, for maximum reading and TV-watching comfort. The anti-snore is a real life saver for people who have trouble battling this condition. Adjustable bases help you achieve an elevated sleeping position, which should eliminate snoring all together. This feature is reserved for the pricier of adjustable bases. Nevertheless, it is worth mentioning, as it is one of the things that separates regular bed frames from adjustable bed frames. Depending on the model and, as mentioned before, the price, the massage features and capabilities of adjustable bases vary. Entry-level alternatives with massaging capability offer preprogrammed massage programs, leaving it up to you to choose the perfect one for you. Luxury adjustable bases offer more options. Not only can you choose one of the preinstalled massage programs, but you can also create your own. What’s more, there are even models where you can control the intensity of the massage, or even the area of the bed you want active. Pretty useful, especially after a long day’s work. Some manufacturers of adjustable bases go beyond even the massaging feature. They fit their bed frames with additions such as regular outlets, USB outlets, and even under-the-bed lighting. Depending on your needs, you can choose a bed with one or more of these additional features. USB outlets are pretty useful nowadays, as many people like scrolling through news or social media on their smartphone or tablet before bed. There are also those who hate sleeping in complete darkness, and depending on the selected feature, you can either connect a lamp to a regular outlet, or go for the base with lighting underneath. But let’s face it, under-the-bed lighting is way cooler. 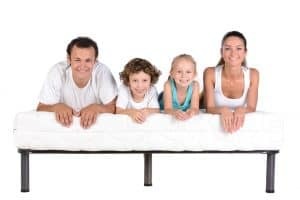 The best adjustable bed frames in San Diego at Mattress Makers! Mattress Makers of San Diego offers the widest selection of adjustable bed bases, and we’re sure you’ll be able to find the best one for your needs. No matter what your price range is, or what demands you have for a base, you will find what you’re looking for at our store. Stop by today, and let our professional staff help you find your base! How do Adjustable bed Bases for Platform beds Work? 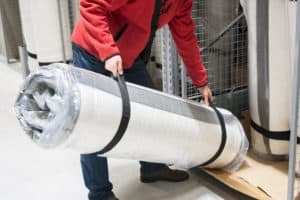 If you’re looking to buy a quality adjustable bases for beds, it might be good to know who makes the best adjustable bed bases, whether adjustable bed bases are safe for your mattress, and, last but not least, how long you can expect the bed base to last. But first, in order to answer the question, “How … Read moreHow do Adjustable bed Bases for Platform beds Work?